New clients always ask me “where should we do our engagement photos?” After living, working, and playing in Boulder for almost a decade, I have built up a pretty legit spreadsheet of all my favorite Boulder engagement session locations. Every time I go hiking, I make notes and take photos of pretty spots along the trails that would be great to use for shoots in the future. My Google Maps of the area is one big mess of yellow stars from all the locations I’ve saved. Here are 23 of my favorite spots – I guarantee there’s something for everyone on here! These are the quick and easy access options that are close to town. You’ll get great views with very little hiking involved, which of course also means that these locations are very popular. I try to avoid these trails on the weekend afternoons when they are the busiest. It wouldn’t be a complete list of the best Boulder engagement session locations without including Chautauqua Park. The view of the Flatirons from the trailhead is by far the most iconic in Boulder, and also the one I get asked about most often. As the most popular trail in Boulder, there are a few downsides to doing your engagement photos here. There will often be other people in the background of your photos, and you’ll almost never have any privacy. Parking can be a serious pain, especially on weekends and in summer. I prefer shooting engagement sessions at Chautauqua at sunrise on weekdays. The alpenglow makes the Flatirons look extra good, and there are fewer people around so posing for photos is way less awkward than on a busy Saturday afternoon. See a full Chautauqua engagement session that I photographed. As a former CU student I might be biased, but I think we have one of the prettiest campuses in the country right here in Boulder. There are so many beautiful places to do photos on campus, from Kittredge Pond and the stone arch bridge to Old Main and Macky Auditorium with their beautiful brick facades and old staircases. This is another busy Boulder engagement session location, but for good reason. You can get great views of the mountains in multiple directions, so it’s good both for sunrise and sunset. There are shaded areas in the trees, and open areas with sweeping views. You can get more privacy by hiking a bit further, but there are lots of pretty spots within a quick and easy walk from the parking lot. See a full NCAR engagement session that I photographed. Okay, this one is technically in Louisville, but Davidson Mesa offers one of the best views of Boulder. And since it’s further east and away from the mountains, sunset here is later than in town, and gives that epic golden glow for your engagement photos! It’s a flat and easy trail, but it’s super popular for people to walk their dogs after work, so don’t expect much privacy. South Mesa is a super popular spot for Boulder photographers, but it’s not my favorite. The areas close to the trailhead are always crowded, and there are a lot of closures for regrowth so you can only shoot on the trail. But if you’re willing to add a 20 minute hike, the views from the Towhee trail are some of my favorite in Boulder! Lost Gulch is another crazy busy Boulder engagement session location where you’ll never be completely alone. But it’s worth working around the crowds for the best sunset in Boulder! 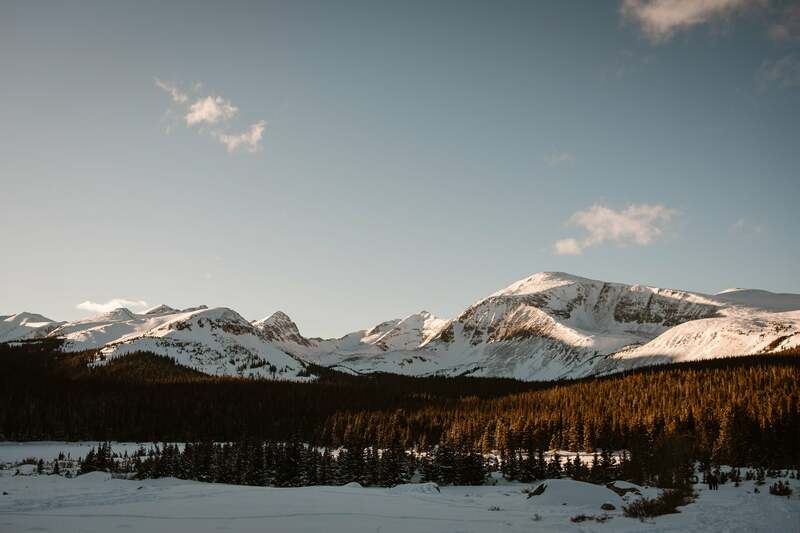 Located on the “back side” of Flagstaff, you get sweeping views of the Indian Peaks Wilderness, and the light here at sunset is the stuff photographers dream of. This is one of my favorite hidden gems in Boulder for shorter engagement sessions! (Shorter, because there’s not a ton of variety here.) You get great views of Boulder and IPW, and the light at sunset is nicer than closer to the mountains. It’s also usually empty of other people, so a great choice if you’re feeling shy about making out with your partner in front of random hikers. 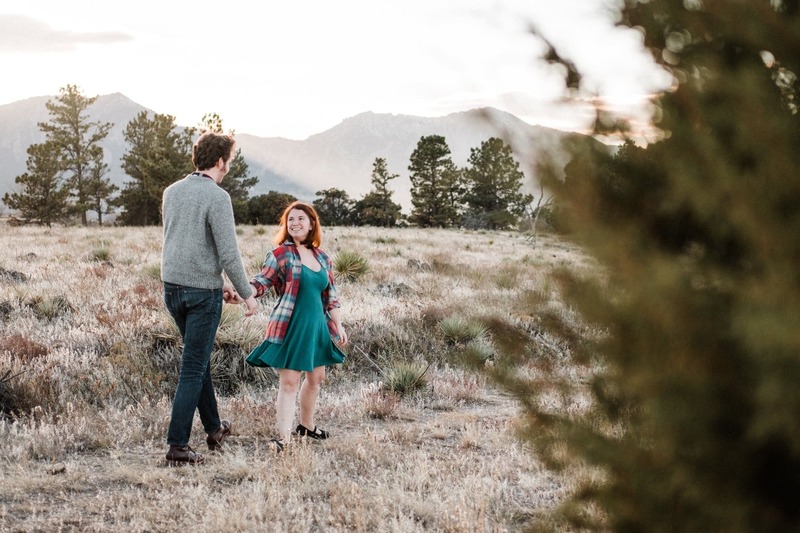 These Boulder engagement session locations are all still easily accessible, and don’t require a full hike, but there’s more walking involved for getting away from the parking and to the pretty stuff. And that’s a good thing! The north shore of Boulder Reservoir is by far one of my favorite places to shoot on a warm summer evening. It’s far enough from the mountains to get that pretty golden light, and the shore is perfect for kicking off your shoes and splashing around. Swimming is unfortunately not allowed here, but it’s still a beautiful spot for photos. It’s about a 15 minute walk from the Coot Lake parking area to the res. See a full Boulder Reservoir couples session I photographed. Want red rock formations without dealing with the crowds (and permits) at Red Rocks Amphitheater? Then this is the perfect engagement session spot for you! It’s a short hike, starting either from Settler’s Park on Canyon or Centennial Trailhead on Mapleton. 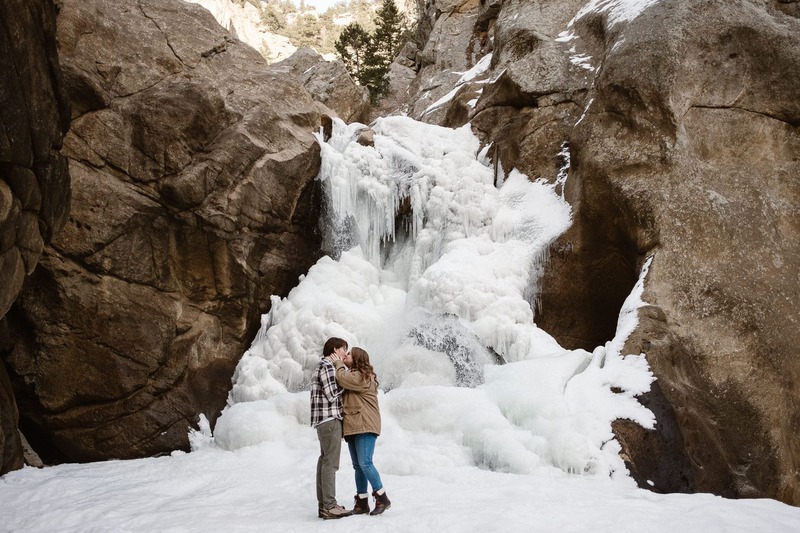 Easily one of the coolest winter engagement photo locations in the Boulder area. The falls freeze over in winter, so you can walk out onto the ice (at your own risk!). See a full Boulder Falls engagement session that I photographed. One of my favorite Boulder trails where you can bring your dog(s) off-leash. This trail does have a lot of mountain bike traffic, but there are so many great spots to get photos away from the main trail so I’ve never had it be a problem. And the views and light are super pretty at sunset! See a full Marshall Mesa engagement session I photographed. One of the very best Boulder engagement session locations for sunrise photos! The sun perfectly peaks through the mountains and lights up the whole valley, and there’s almost never anyone up there this early. It’s also really pretty at sunset – you really can’t go wrong with Betasso. See a full Betasso Preserve engagement session in summer and another from a winter sunrise session. This spot isn’t listed on the maps, so I’m keeping the exact name and location to myself unless you happen to book me and want to shoot there. But this area is perfect for rocky cliffs, canyon overlooks, and is probably best avoided if you’re scared of heights! Bald Mountain Scenic Area is a short but beautiful hike with views looking both east towards Boulder and west towards IPW. It’s also one of the least busy trails on this list, so a great one for privacy! See a full Bald Mountain couples session I photographed. I’ve photographed more engagement sessions at Brainard Lake than anywhere else on this list, and for good reason. It’s easily accessible in summer when you can drive right up to it, but even in winter it’s a flat and easy 45 minute hike each way along the snow-covered road. And if you want winter wonderland photos without the hike, Red Rock Lake is only 10 minutes from the winter parking lot, with similar views to Brainard. See a full Brainard Lake winter engagement session I photographed, and a Red Rock Lake engagement session in winter. 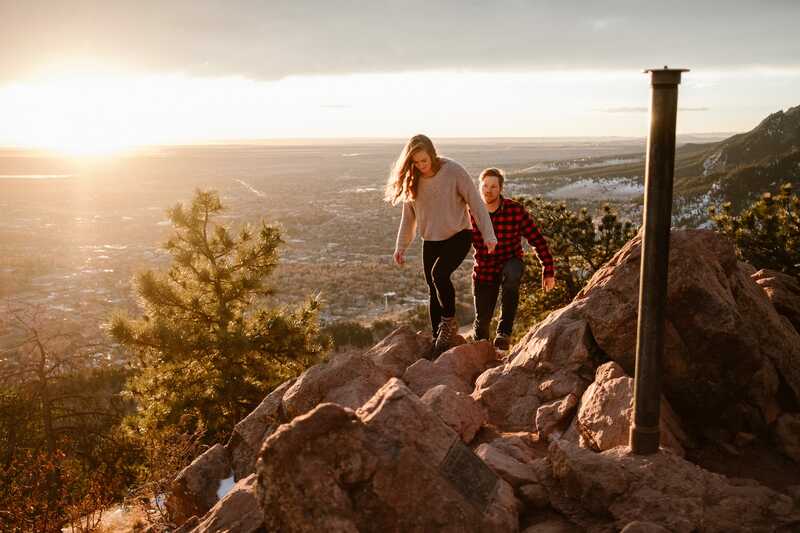 If you want to go “full Boulder” for your engagement session, consider one of these beautiful hikes! They’re all within an hour drive from Boulder, and some start right here in town. And what better way to celebrate getting engaged than by hiking together in a place you love? Want to go for a full hike for your engagement photos? It doesn’t get much more Boulder than hiking Sanitas! I love doing the Mt Sanitas trail for sunrise sessions (or Dakota Ridge, if you want less of a workout), and coming down Lions Lair when I shoot at sunset. See a full Mount Sanitas engagement session that I photographed. I haven’t shot an engagement session at Bear Peak yet, but it’s been on my bucket list ever since the first time I huffed and puffed my way up Fern Canyon and took in the incredible views from the rocky summit! 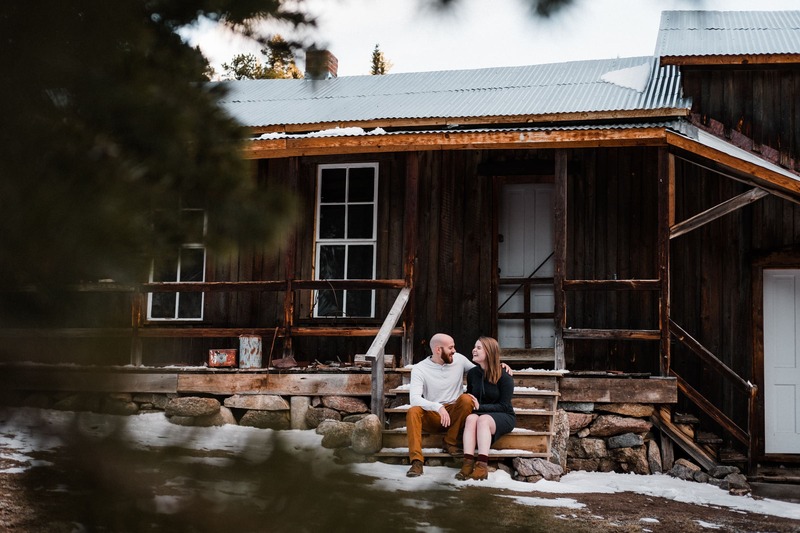 See a full Caribou Ranch engagement session I photographed. One of the most underappreciated trails in Boulder – to the point where I was debating whether I should even name it in this post. May’s Point is like Lost Gulch minus the crowds! Lots of rock formations, and epic views to the west over Indian Peaks Wilderness makes this a great spot for sunset photos. And we might even have it to ourselves! 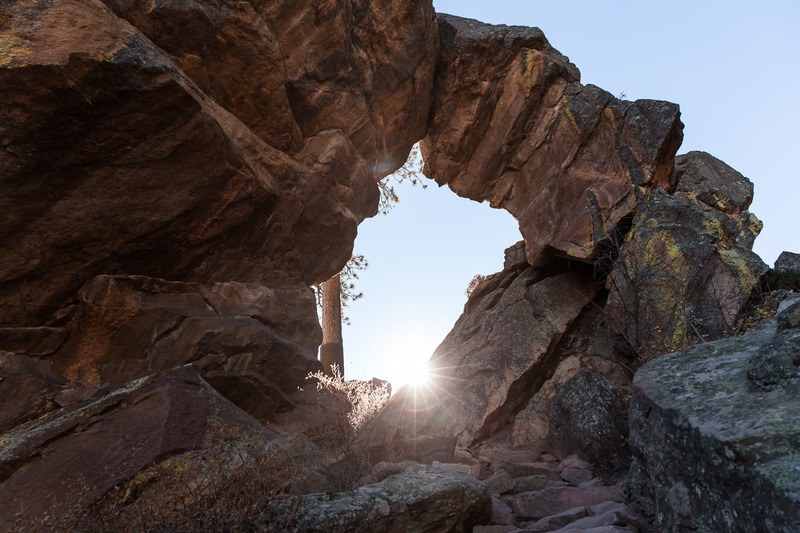 Royal Arch is one of the most iconic hikes in Boulder. It’s deceptively easy on paper, as a 3-mile roundtrip. But add almost 1500ft of elevation gain and some steep and rocky sections, and you have a solid workout in front of you. This is one of the busier trails in Boulder, but it would be perfect for a weekday morning engagement session. 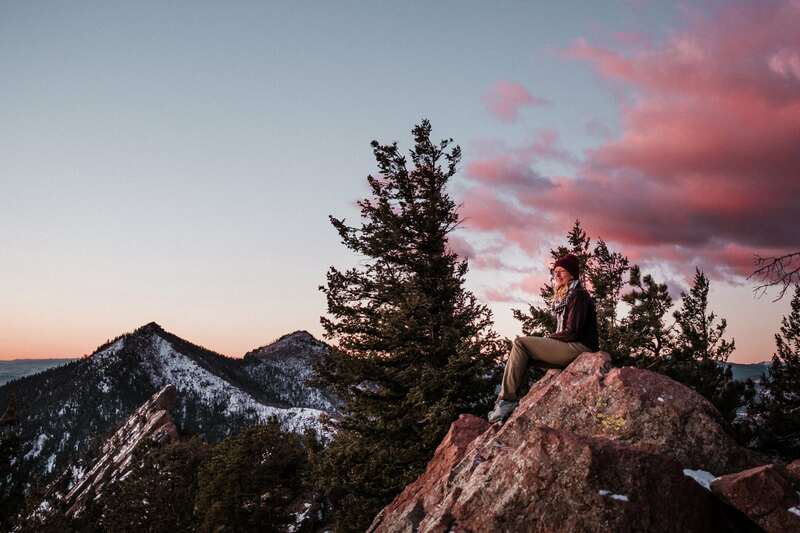 This short but steep hike offers the best summit views in Boulder County! (Okay, with the exception of Bear Peak – it’s still my favorite.) I have not shot an engagement session here yet, but this 360-photo from Google Maps should convince you that it’s a good idea! Green Mountain can be easy or hard, depending on which trailhead you start at. 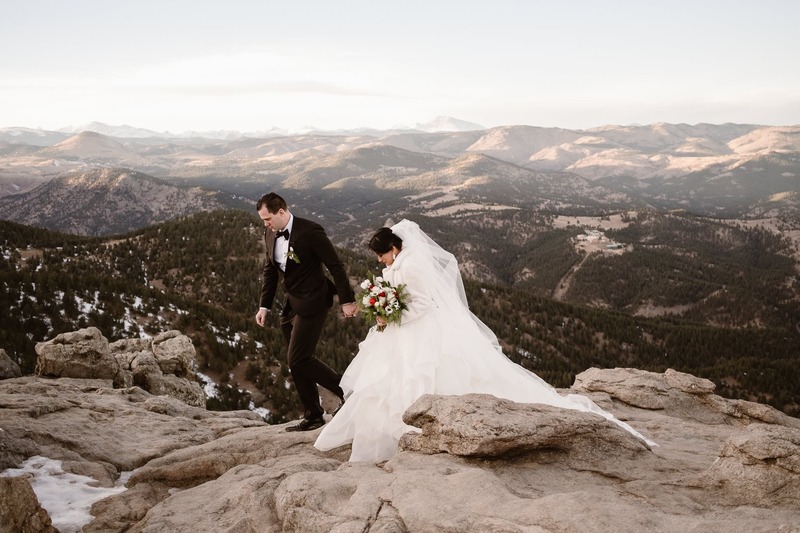 With great views of Boulder in one direction, and the Indian Peaks Wilderness in the other, it’s a great spot for photos. This is a fairly busy trail, but there are lots of spots to sneak away from people both on the summit and along the trail. And sunrise here is extra special! That’s it – 23 of my favorite Boulder engagement session locations! Are you feeling inspired to have your engagement photos done in one of these places? I would love for you to leave a comment and tell me which is your favorite! And if you’re looking for a Boulder engagement photographer, I would love to chat with you. Get in touch and let’s create photos that show how much you love each other – and this beautiful town we live in!